Apple may release iOS 7 to the public the same day as its accompanying iPhone event on Tuesday, September 10th. In the past, Apple has released the final GM build of the next iOS to developers on the day of the event and then waited about a week to push the update out to everyone. This year could be different. 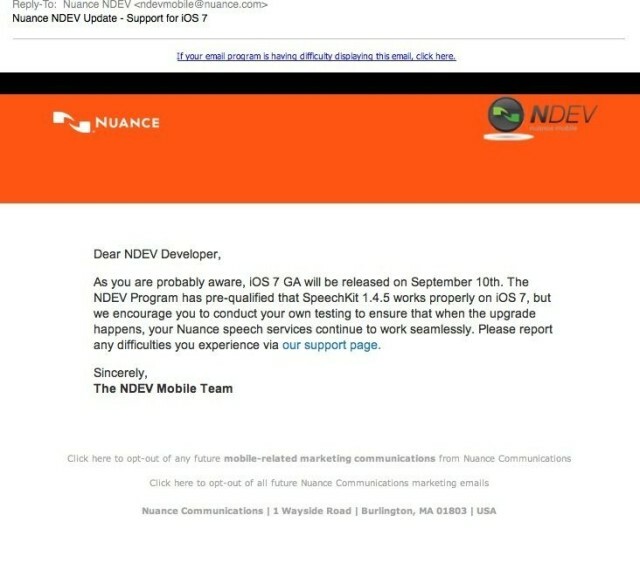 An email sent out from Nuance to developers in its voice recognition program suggests that iOS 7 will indeed drop on the 10th. And the fact that Nuance powers Siri lends credence to the date. Freelance tech writer Owen Williams first published the email, and he makes the good point that Nuance could be covering its bases just in case. But such a bold prediction from a company that’s so close to Apple is worth noting. The email was mysteriously removed from Nuance’s servers shortly after it started circulating online. The question is whether a company that’s in bed with Apple like Nuance would mistakenly leak such a fact (and then quickly backtrack). It’s certainly possible, but if so, Apple will need to seed the final iOS 7 GM (Golden Master) to developers really soon. Developers need some time to test their apps on the final iOS version before it goes live for everyone. It’s about two weeks until the 10th. BGR has said that the iOS 7 GM will ship to developers on September 10th, which contradicts Nuance’s email that the GA (General Availability) release will be that day. The iOS 7 beta has been on an aggressive update cycle this summer, so I wouldn’t put it past Apple to seed the GM before the 10th. Next week would make sense to give developers the week-long window of testing that’s historically provided. Apple is expected to announce the iPhone 5S and a lower-cost iPhone 5C at the September 10th event. 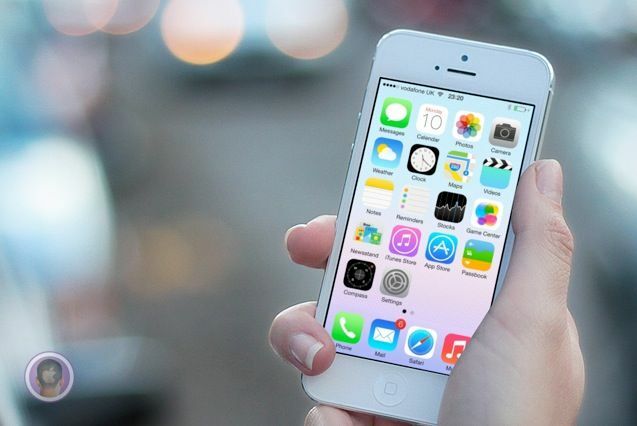 iOS 7 will likely come installed on the new hardware when it ships later in the month.